Green Valley Recycle is a Florence, AL based company started by a local resident whose mission is to expand recycling pickup services beyond Florence city limits. They offer the convenience of curbside pickup for households not served by the city, hoping to encourage all residents to participate in helping to make the Shoals go green. 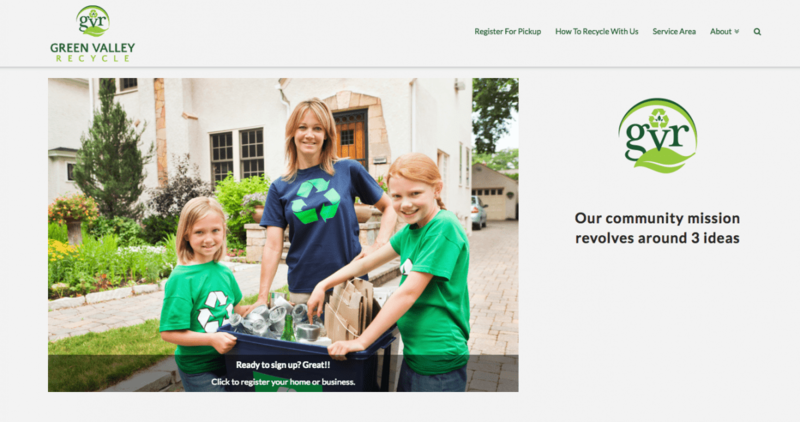 Green Valley Recycle opted to go with Shoals Works Pro Package to build their new website as a modern portal for new and returning guests to utilize from any device with ease.